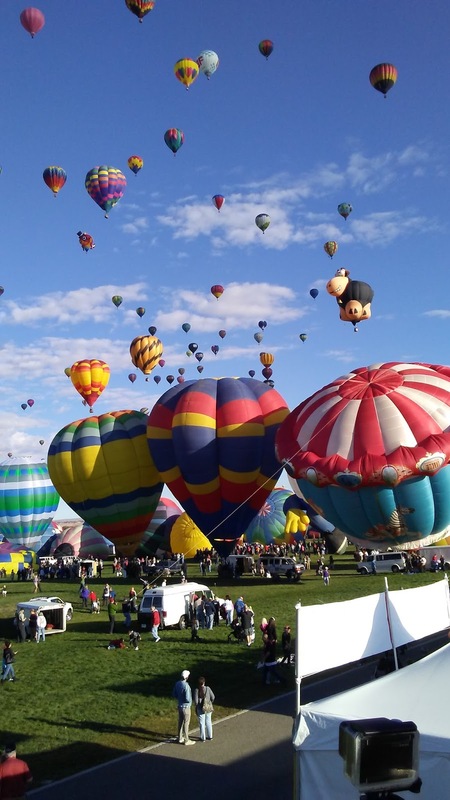 The Albuquerque Balloon Fiesta is an event with more than 550 hot air balloons. 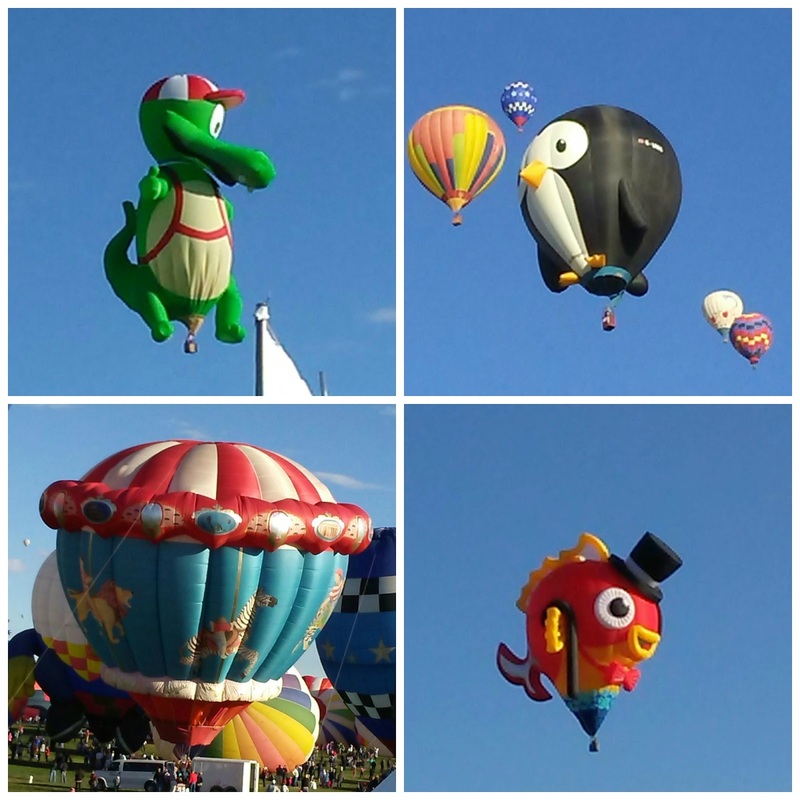 Most people can not understand the how awesome the Albuquerque Balloon Fiesta is until they experience it. It is truly hard to understand how huge this event is until you see over 550 hot air balloons launch into the sky in less than 2 hours. When people see that they can stand right next to the hot air balloons and interact with the pilots, they are glad they came to this event. Then they want to come back the next day to see more amazing hot air balloons lift up into the sky. 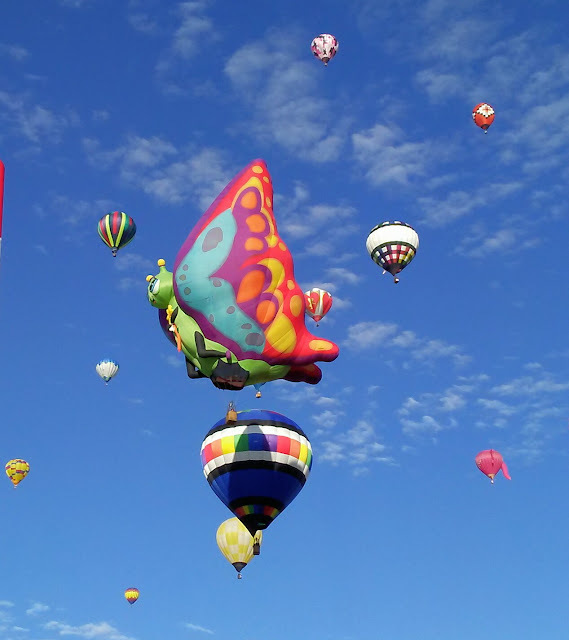 Some people may even dream of a ride in a balloon and they can make that dream a reality as the opportunities to ride in a hot air balloon are available during the Balloon Fiesta. The Balloon Fiesta is eight days of hot air balloons and more. The 45th, "Desert Kaleidoscope" Balloon Fiesta took place this year on October 1-9, 2016 and I was so glad I was able to attend. I live in Albuquerque, New Mexico so I have attended many Balloon Fiestas over the years and each one is more exciting than the last. I am going to share with you some of the amazing photos I took at two events that I went to. 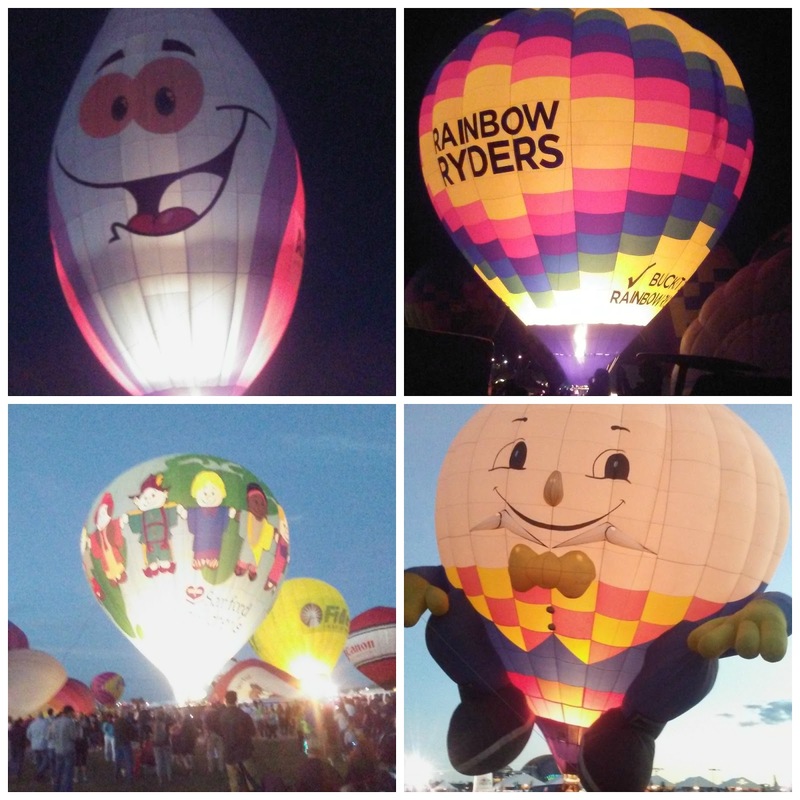 I attended the Mass Ascension on October 1st and the Balloon Glow on October 2nd. The Mass Ascension was a fun morning of watching 550 hot air balloons uplift into the sky. Most of the balloons were standard tear drop shaped but there was also plenty of special shaped balloons. My favorite was one that was shaped like a butterfly. Each year I have new favorites as I always discover new balloons that I had not seen the previous year. The Creamland Cow is always a favorite too. I think this is the largest balloon in the event. 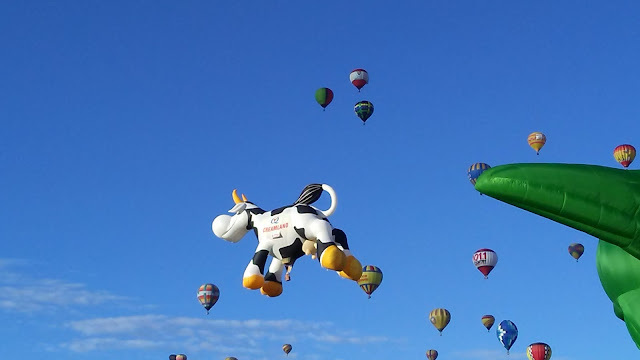 The crowd always cheers when this cow lifts up into the sky. The weather was perfect for balloons. It was bright and sunny with no wind. Hot air balloons can't go up if there is a lot of wind. I was prepared for a day of sunshine and balloon watching. My new sunglasses from Glassesusa arrived the day before the Albuquerque Balloon Fiesta. I love the floral print on them. They were a great price with the 60% off Columbus Day sale that is going on right now. It was hard to choose my sunglasses as they have so many different styles. They also sell prescription glasses and have this cool feature that allows you to try the glasses on. You just upload a picture of yourself and then choose the glasses you like. You can see yourself wearing the glasses. Here are some more photos from the mass ascension. My boy's favorite balloon was this green gator balloon. The special shapes are always so fun to look at. 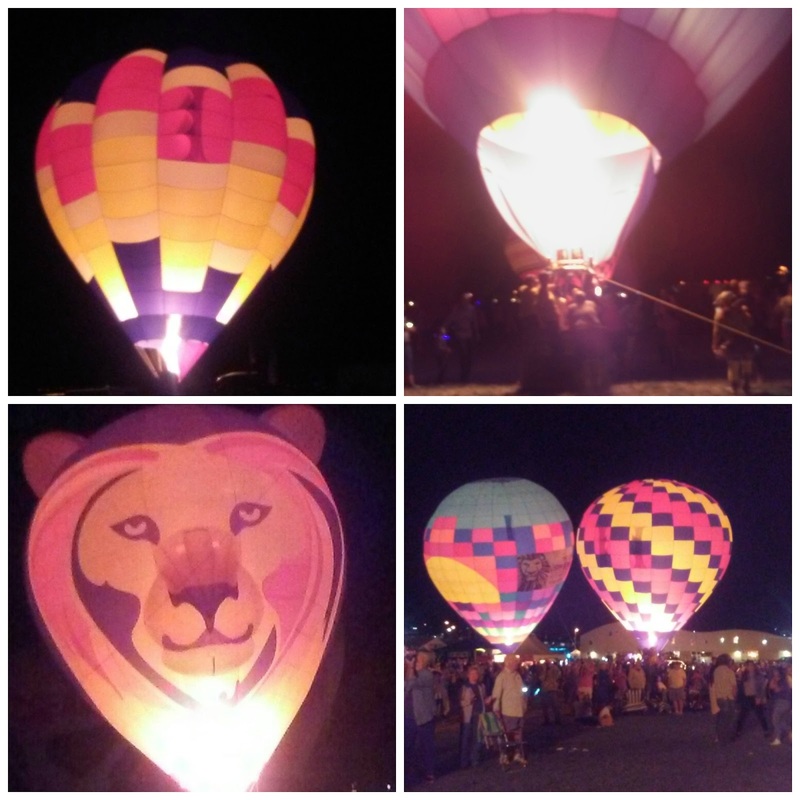 The other event we went to was the Balloon Glow. This is a night event. The balloons inflate but they stay on the ground and make the balloons glow with the propane flame. The balloons look so cool glowing in the dark. This is the perfect time to collect trading cards from the owners of the balloons as you can get incredibly close to the balloons. 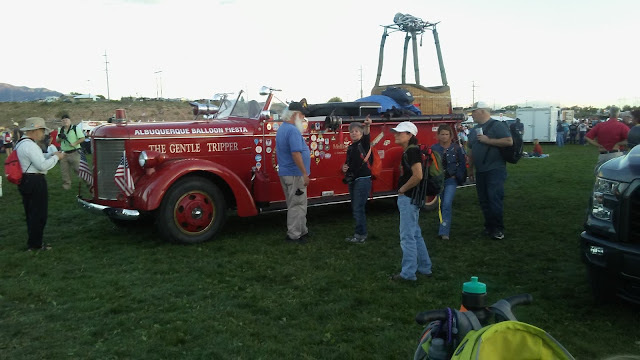 My husband's favorite balloon at the glow was a gas flame balloon that represented the company that supplies propane to the pilots. I enjoyed the Humpty Dumpty balloon. It was a windy night so not that many balloons participated in the glow but there was still at least 100 balloons glowing in the night. It may be too late to attend the 2016 Albuquerque Balloon Fiesta but it will be back next October. 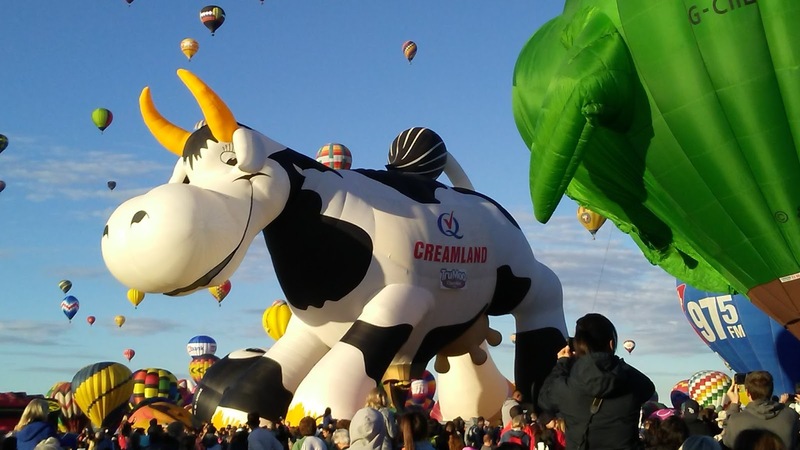 So now is the time to plan for a trip to New Mexico so you can participate in the 2017 Balloon Fiesta. Get all the details at this link. Take a look at this cool way to transport a balloon! 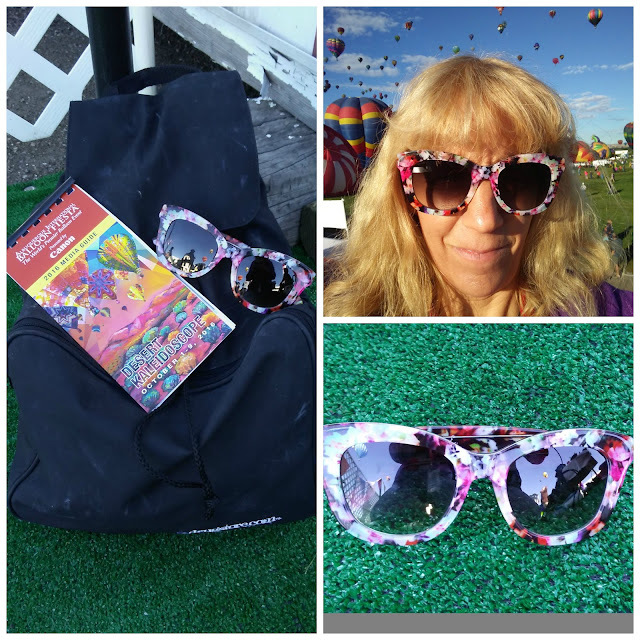 "These opinions are my own and I received the glasses from Glassesusa and a media pass to attend the Balloon Fiesta to facilitate this post." I love hot air balloons. This looks like so much fun. I wish I could go there. Looks like a fantastic event. What gorgeous balloons. I'd love to go! I'm so jealous! My friend got to go to this and I SO wanted to be there! I was just telling my husband that I would like to go to this... It looks so amazing! I wish I could see this! It looks like so much fun! wow... so much cuteness :) love the pictures! This looks so cool. I wish I was anywhere near there so I could take a road trip to visit next time! Love the Balloons and my kids would love this! Awesome pictures and the Creamland Cow is my fave too! We had a local balloon festival when I was a kid and I always looked forward to it! Everything is so beautiful! This is a total bucket list item for me. I am totally looking forward to getting out there one year and enjoying everything you did. Oh wow, I bet that is a stunning sight! I love how much effort goes in to all of them. This is definitely on my list to see! My cousin goes every year and next time I'm going with him!!! What fun! I love all of the different kids of balloon they had! Hi...love when I find Albuquerque bloggers. I also live in Albuquerque started following.